In the Philippines, House Technologies Industries owns a three-story factory in the Cavite Export Processing Zone, also known as the Cavite Economic Zone, south of Manila. On February 1, in the evening during shift change, a fire broke out. That fire raged for two full days before it was finally put out. Fire exits were locked, windows barred, corridors far too narrow to allow for quick passage: this was no accident. Yet again, as in the Kentex fire two years ago, this fire and those workers burned to death and the workers critically injured are part of the brutal architecture of industrial production. Every report covers up more than it reveals, and the workers, charred beyond recognition, wait for nothing now. What have the owners, including the State, learned in the years since the Kentex fire? They’ve learned the art of cover-up. According to a report released by the Center for Trade Union and Human Rights, “Nearly all those interviewed … believed that many were trapped inside and have died. The stream of people desperately seeking to go out of the building was too big for the employee’s passageways and fire exits to accommodate. There were accounts that the fire exits were locked, forcing escaping workers to break windows as their means of egress. Workers claim that the company’s exit stairs land inside the building, or in the delivery section within the company compound. There was no exit that lands on the streets. A witness shared that he did not see anyone who escaped using the same exit he went out of, only through passageways and windows. “There were accounts that windows were tightly screwed on window sill and witnesses saw workers including a pregnant woman jumped out from the third floor window. Other witnesses narrated that on their way out, they left behind workers on the floor, unconscious. They also saw flames rapidly chasing the escaping workers. Relatives of those who were injured also told that their relative was able to escape by crawling over and stepping on unconscious bodies on the floor, whom they presumed dead. We have been here before. The State can find violation of safety regulations, or not, and the trade unions can protest working conditions and demand an independent investigation, but the factories and sweatshops go up, bars cover the windows, doors are locked from the outside, and no one does anything. This is the second fire at the HTI factory in four years. In the first fire, HTI was exonerated of any fault. After this fire, HTI called in employees and told them to keep quiet. Some say the company forced them to erase video and photo evidence from their phones. Some say the company only counted full time employees in its tally. HTI is the largest employer in the Cavite Economic Zone. From the Triangle Shirtwaist Factory on March 25, 1911, in New York, to the Kader Toy Factory in 1993 Bangkok, to the Zhili Handicraft Factory in 1993 Shenzen, to the Tazreen Fashions Factory in 2012 Dhaka, and to the Kentex Manufacturing Corporation in 2015, to the House Technologies Industries in 2017, the architecture is the same, as are the smoke, stench, exploitation, workers and bosses. The factory was built as a slaughterhouse. When the flames burst and the workers’ bodies exploded, there was no accident. Today, March 26, 2017, we begin the 117th year of the Triangle Shirtwaist Factory Fire Era, in which we can eradicate epidemic diseases and yet stand by and watch as the factory fires grow larger, more intense, and more lethal, and women jump from windows to the hard earth below. A new collection of specters haunts the earth today: 72 workers killed yesterday in a slipper factory fire in the Valenzuela district of Manila. There was no accident. That fire and those workers burning to death are part of the brutal architecture of industrial production. Every report covers up more than it reveals, and the workers, charred beyond recognition, wait for nothing now. The fire “started” when sparks set off an explosion. The slaughter of the innocents began long before the spark. The windows were covered, sealed tight, by metal gratings. Even now, the local mayor isn’t sure the building had any fire escapes. Those workers – daughters, granddaughters, sisters-in-law, nieces – were deemed less valuable than cats, and far less valuable than the chemicals, the machinery, and the slippers in the building. None of this is new. The State can “investigate quickly”, if it likes, and the trade unions can protest “working conditions”, but the factories and sweatshops go up, the bars and grills cover the windows, and doors are locked from the outside, the flammable materials are next to the welding machines, and no one does anything … until the fire explodes. From the Triangle Shirtwaist Factory in 1911 New York, to the Kader Toy Factory in 1993 Bangkok, to the Zhili Handicraft Factory in 1993 Shenzen, to the Tazreen Fashions Factory in 2012 Dhaka, and now to the Kentex Manufacturing Corporation in 2015 Manila, the architecture is the same, as are the smoke, stench, exploitation, workers and bosses. The factory wasn’t a factory; it was a slaughterhouse. When the flames burst and the women workers’ bodies exploded, there was no accident. There was an indiscriminate and brutal slaughter of people, a massacre, and it was always part of the plan. 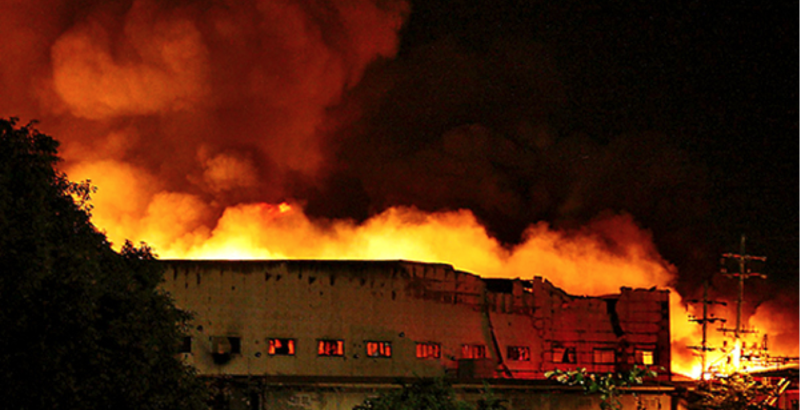 On May 10, 1993, 188 workers died, or were killed, in a fire at the Kader Toy Factory, in Bangkok, Thailand. 177 of the killed workers were women. The factory had no fire alarms, no sprinklers, very few fire extinguishers, and practically no means of escape. Those not immediately burned to death jumped out of third and fourth story windows … and were killed or seriously injured. On November 19, 1993, 87 workers, all women, died, or were killed, in a fire at the Zhili Handicraft Factory, in Shenzhen, China’s first Special Economic Zone. 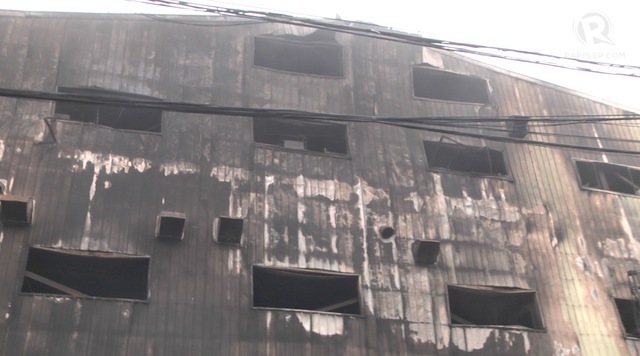 A month later, on December 13, 61 women workers died, or were killed, in a fire at the Gaofu Textile Factory, in Fuzhou. On Sunday, November 25, 2012, Bangladesh suffered its worst-ever factory fire, at the Tazreen Fashions factory, one of 4500 garment factories in the country. At last count, 123 workers died. By all accounts, the workers were all or almost all women. Nothing here is new. Industries rely on women’s `nimble fingers’ to produce goods. Factories filled with women are overcrowded, have no fire alarms or sprinklers, and have no means of escape. Many women are burned to death. In these more recent versions, as in the earlier Triangle Shirtwaist Factory fire, the factories are the signature of the modern. They are proof positive of progress made, or so the public is told. Until the fire next time. And each time, the fire, the tragedy, `enlightens’ a public that was previously innocent of any knowledge of the circumstances of industrial women workers. Fortunately for the innocent public, the dead cannot speak, cannot contradict the protestations of surprise and the performances of dismay. At almost the same time the Tazreen factory burst into flames, garment workers, women workers, gathered in Bengaluru, in India, to give testimony to their working lives and to make demands. Managers abuse the women verbally and physically. The production targets are impossible. The pay is bare. The list goes on. What do the women want? They want what every worker wants. They want dignity, they want a living wage, they want the right to organize. They want everything that constitutes dignity, they want everything that expands dignity. The women know they are working in a factory that is all women workers because a factory full of women is a factory of low wages. They are told this is a sign of development, of modernity. The women know better. As we enter into the 16 Days of Activism Against Gender Violence, mourn the women workers who have died in the fires and support the women workers who continue to organize and make demands, as they produce clothing, toys, microchips, textiles, and more. Don’t let the brilliance of the fire obscure the urgencies of women workers’ everyday struggles for dignity and a living wage.